On our recent visit to Canberra, we visited the National Gallery of Australia (NGA) for the first time. The NGA is a beautiful gallery which your family will enjoy. It has great work displayed throughout the permanent and short-term exhibition galleries as well as a kids space and sculpture park. 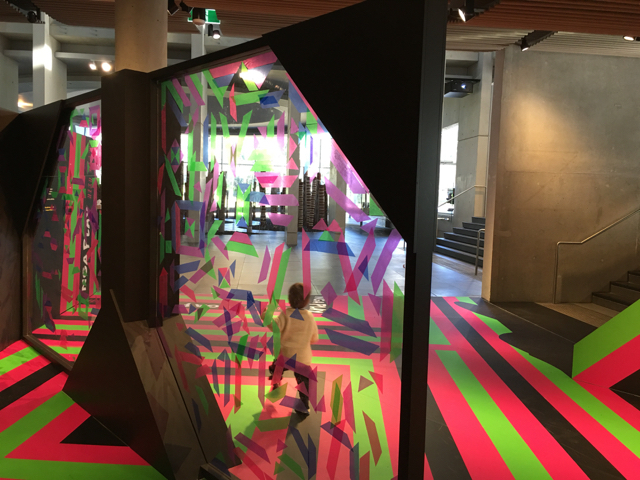 The current kids space aka NGA Play was designed and installed by contemporary Kamilaroi/Gamilaraay/Gummaroi artist Reko Rennie and the NGA to challenge visitors' understanding of Australian Indigenous art, culture and identity. The space is vibrant, creative and innovative and invites children to make their mark on the space with the use of fluorescent patterns and make drawings on iPads with the use of colour and patterns. 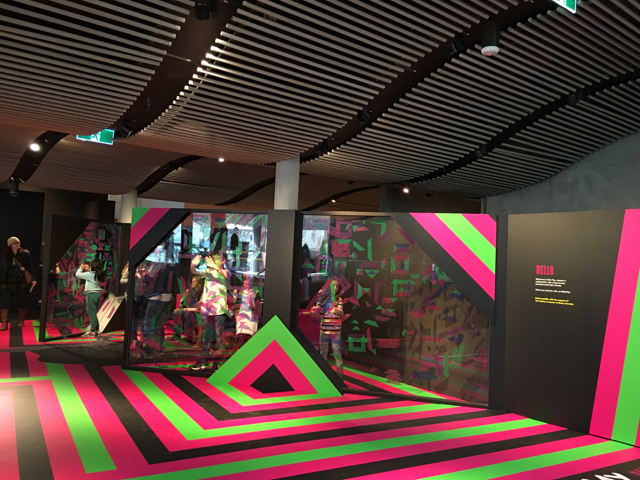 It is an engaging space with a camouflage wall, a camouflage wall projection, interactive iPads, a table with colourful blocks, a stamp station talking about Australian Indigenous rights, an area where teenagers can express their views as well as a large bean bag where kids can relax and read books on Australia. The NGA Play Reko Rennie installation is open daily from 10am to 5pm, it is free, near the entrance and on until the 3rd of December 2017. 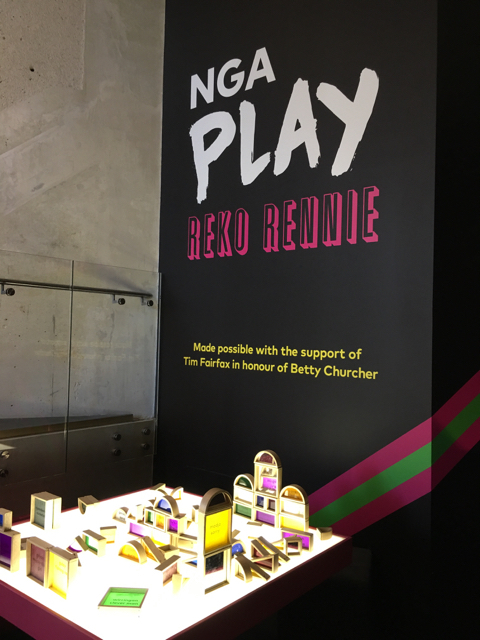 For more information on the NGA Play and the Reko Rennie installation, head to the National Gallery of Australia's website.